Made on Murano, the storied glassmakers' island in the Venetian lagoon, each 8mm bead is a singular work of art, no two in the world exactly alike. 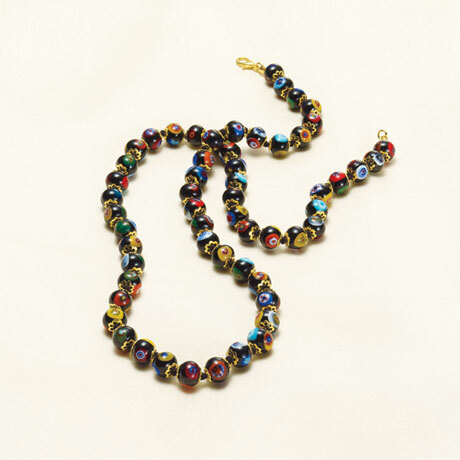 Hand-strung and knotted on cotton cord with brass flower-shaped spacers, black beads are full of colorful surprises: flowers, circles, little stars. Necklace secures with a lobsterclaw clasp. In two lengths: 16" and 20".